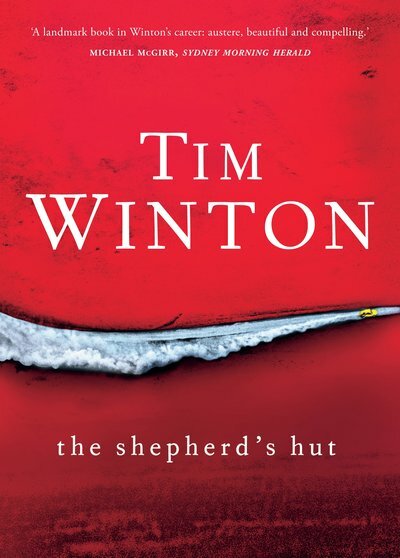 Tim Winton is back well within his comfort zone in his latest book The Shepherd’s Hut. The book centres around a teenager, Jackson ‘Jaxie’ Clackton, in a voice that is clear, distinct and engaging right from the first page. On that page readers find Jaxie behind the wheel of a car, racing across the salt flats of Western Australia, away from something… towards something else. The book itself is his retelling of how he got there. Jaxie was and is an abused child who has grown into a damaged teen. His father would drink and beat both him and his mother. That violence translated to his relationships with his peers and his schooling then became a litany of violence and suspension. Then events in town put him on the run. Taking little, Jaxie heads out towards the salt flats on foot. He makes a fair go of life on his own in a small prospector’s hut that he finds but things change when he chances on another loner. Fintan, an ageing priest living in a small hut by the salt pans, takes him in. Much like other Winton books, the focus of the main part of the narrative is on a mentoring, quasi-parental relationship between the teen and the old man. Jaxie needs to learn how to trust but also needs a role model for living a more balanced life. Fintan provides this for him in the gentle non-judgemental way that he needs. The brutal final act of the book comes across as a bit more of a contrivance than the rest but is a necessary circuit breaker to what was in danger of becoming an outback idyl. The key to the success of this novel is Jaxie’s voice. Winton has said that he spends time out in the surf with young men and clearly has been taking notes. Jaxie’s voice is unique but also familiar, shot through with Australian vernacular and expressions. Jaxie has some self-awareness and even looking only through his eyes, Winton manages to chart his growth and where his connection with the old man takes him. The market seems to be flooded at the moment with coming of age narratives set in the Australian bush. But this is something else again. It is not so much a coming of age story, Jaxie’s life experience has seen to that, so much as charting a course change for Jaxie who has had to grow up before his time. And in this way it can stand as a message of hope for the lost and disaffected.